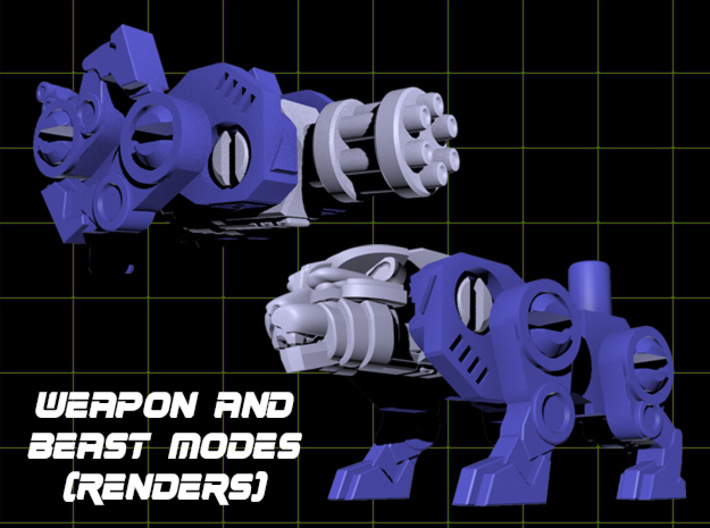 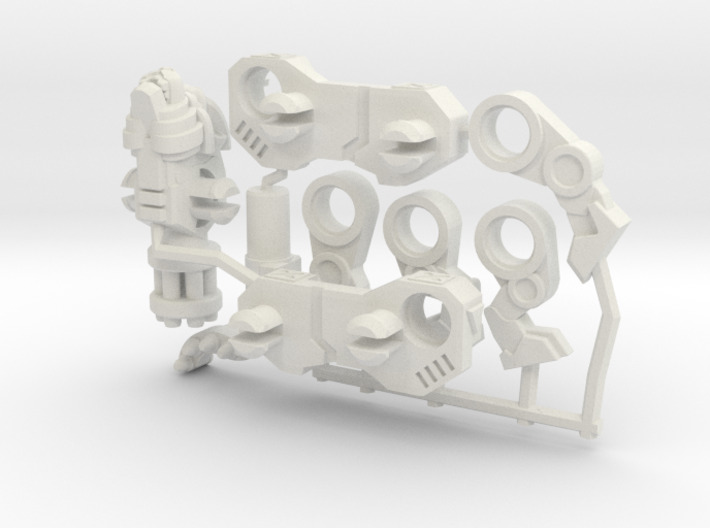 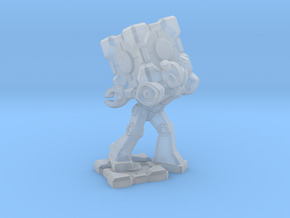 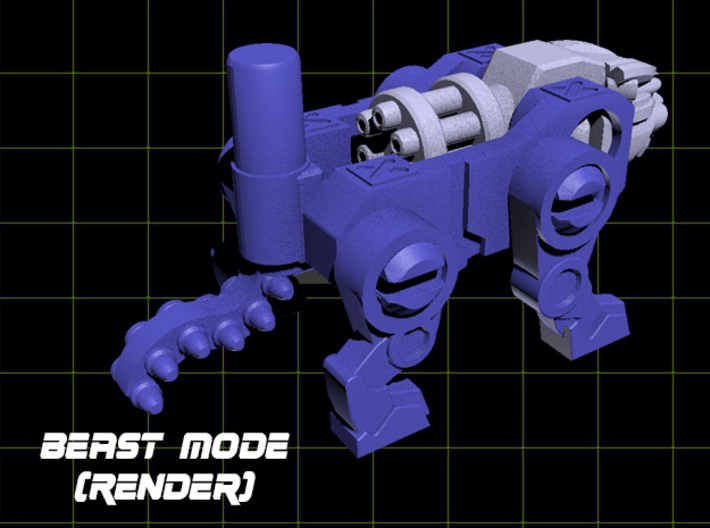 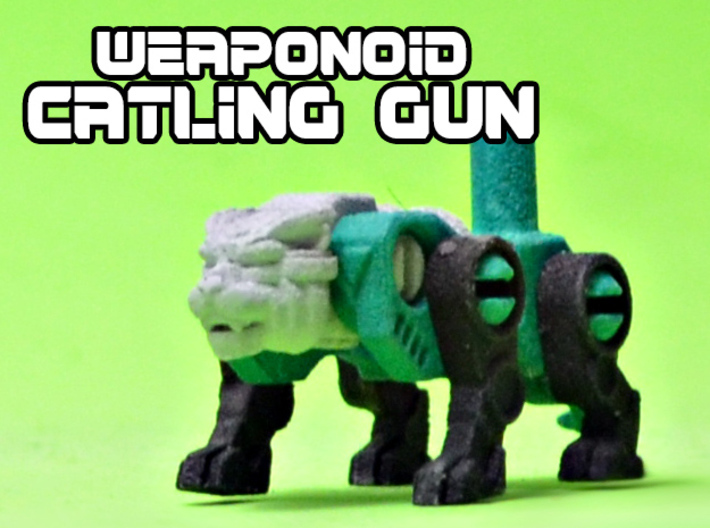 A sprued seven-piece snap-together kit that produces a transforming robot cat/lion/tiger/etc-to-5mm-grip-blaster figure. 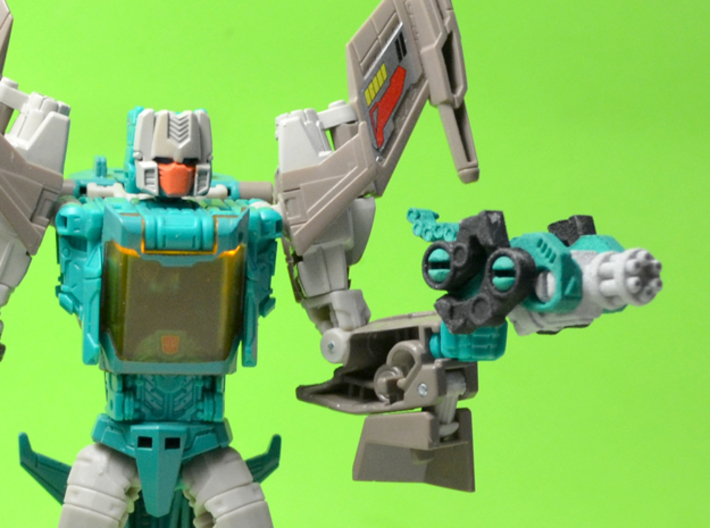 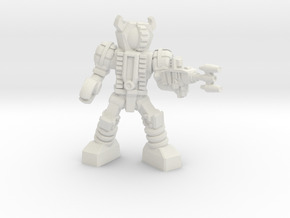 This blaster is compatible with any figure with a 5mm grip. 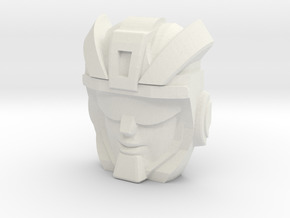 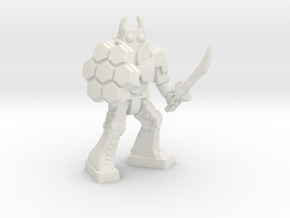 This figure is about 48mm (about 2 inches), long in blaster form.